Admirers of Europe’s leading conqueror, Napoleon Bonaparte, will be delighted to hear that a beautiful manuscript annotated and signed by the Emperor himself is currently up for auction on Catawiki, Europe’s leading online auction platform for rare and hard to find objects. An extraordinary chance, as personal belongings by Napoleon don’t often show up on the market. The manuscript, annotated and signed by the Emperor, is the draft of a decree that relates to the payment of military expenses in Italy. 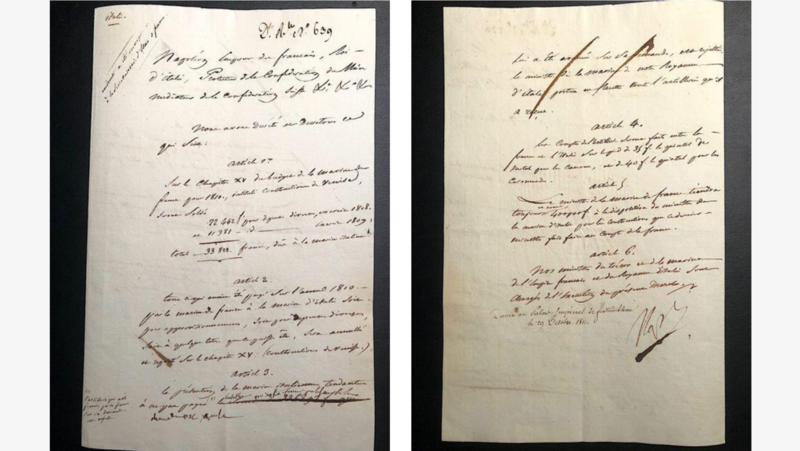 The document was sent to Napoleon for approval, which is why it features a lot of annotations and corrections. A particular remark about the paper is the phrase added by Napoleon in the margin that reads: ‘The artillery that was provided by France on my request had been rejected.’ Next to his signature, Napoleon added the words, ‘Given to the Imperial Palace of Fontainebleau, 29th October, 1810’. What makes this manuscript even more special is that it is one of the very few documents annotated by Napoleon himself. 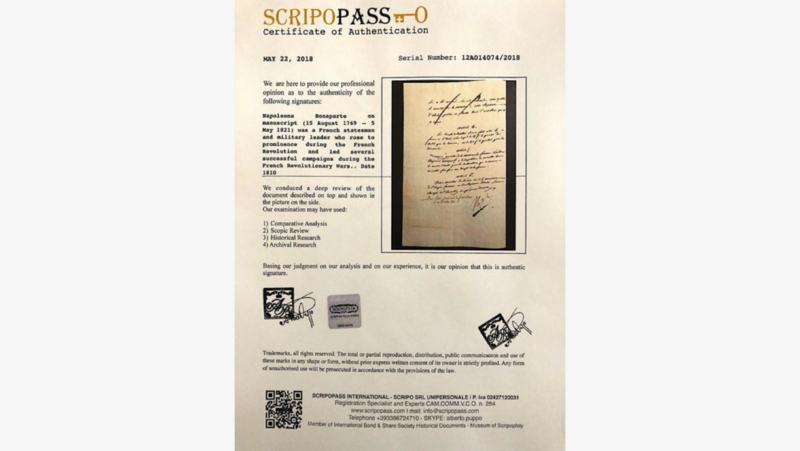 The estimate for the document is around €1,400 - €2,000, but due to the popularity of Napoleon’s autographs and historic items related to Napoleon, this item is very sought-after which could cause the price to increase even further during the auction. The current bid is already at €2,200, explains Kurt Salchi, book expert at Catawiki. For those who doubt its authenticity, the double-sided manuscript comes with a certificate.